The brothers, Eron and Timo (Nagi) are reunited only to be torn apart in the earliest stages of war. Eron desperately searches for his lost love, Mina while Nagi is going nearly mad looking for his wife and children. All while being hunted down by the evil ADF. 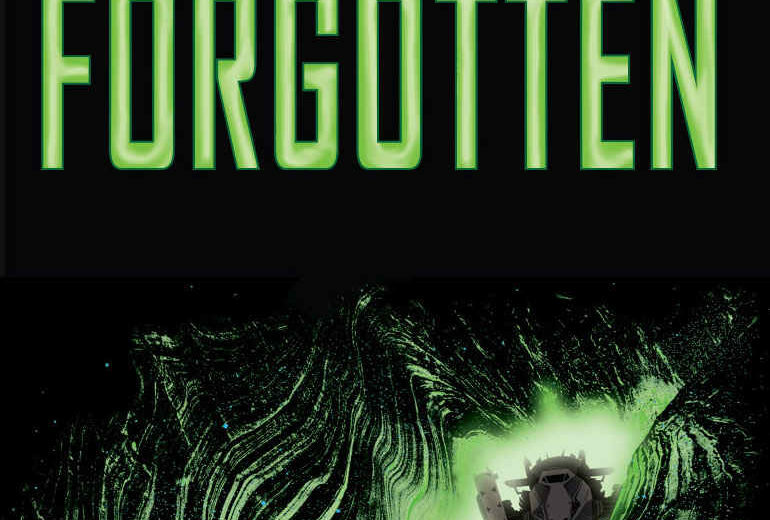 Other members of Eron and Timo’s family emerge from the mayhem in the most unexpected of ways. Having read the first book of this series, I was eager to dive into the second. I’m happy to report I found it even more delightful and engaging. Jason has rounded out his main characters very nicely in this book, giving them much more depth. Rise of the Forgotten is a fast-paced read full of hope and despair, love, hate, suspense, death and some very unexpected twists. It’s probably the best work I’ve read by Jason so far. I am so looking forward to reading the third book in this series! Four out of Five Ravens. Welcome to the June edition of my monthly Author Interview blog. 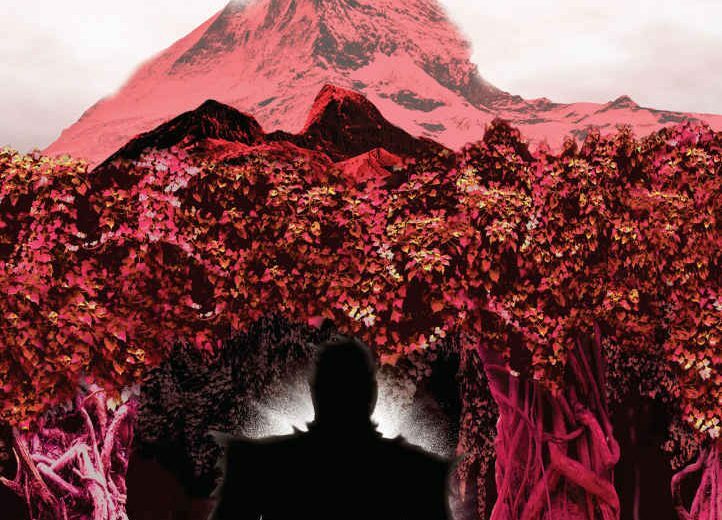 This month (or at least this weekend) it’s all about Jason J. Nugent, author of two short story collections and a brand-spanking new YA Sci-Fi novel called The Selection. Pamela: Welcome, Jason and thanks for agreeing to being placed under a white-hot light bulb in an otherwise pitch-black room. Tell me a little bit about how you became interested in writing. Have you known since an early age or is this something new you’ve recently started to get involved in? Jason: I wrote sappy poetry as an angst-filled teen. Once in college, I wrote stories in English class. Instead of pursuing a degree in creative writing, I chose History, going on to earn a Master’s Degree in Early Medieval History. I always wanted to try fiction but was too scared to. About eight years ago, I had a good friend convince me to give NaNoWriMo a try. I failed miserably! I tried the following year and failed again. I then “won” at my third try. That was all the motivation I needed. I proved to myself that I could do it and decided to make writing a priority. I started writing all kinds of flash fiction and short stories, almost all with strange or dark twists. Pamela: Whether by choice or by fate, we’ve both gone the self-publishing route. What have been your biggest challenges and your greatest rewards as an Indie Author? 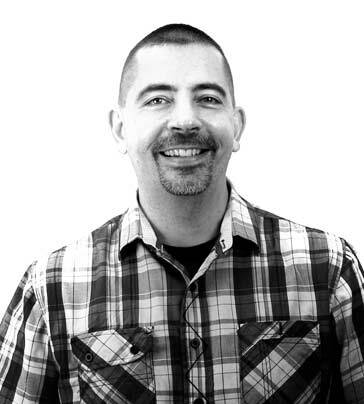 Jason: My greatest challenge—by far! is finding new readers for my work. There are so many choices for readers today and to get them to spend their money on a relatively unknown quantity is difficult. The greatest reward has been meeting other writers who enjoy what I write and share it with others. The indie community, in my experience, has been super supportive and always helpful. Having those advocates means everything to me. 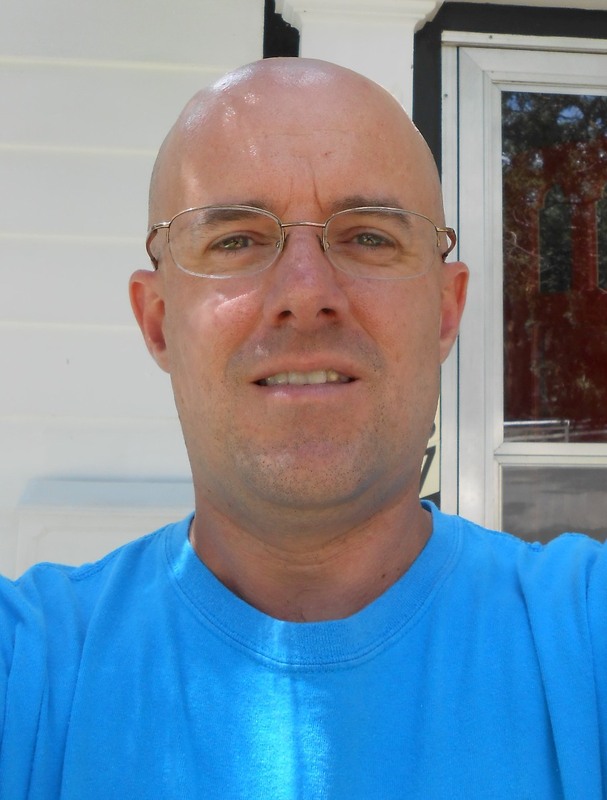 The first review I received was from writer and blogger Mike Wolff. I had no idea who he was at the time, but he gave (Almost) Average Anthology an excellent review. I’ve come to know him since then and we support each other all the time. He’s a great guy and knows his stuff. Without writing, I would never have met him or Aaron Hamilton, or Thomas Gunther, or the crew from Inklings Press (Stephen and Brent), or the excellent writer Maria Haskins, or yourself. I can list a ton of other excellent writers I’ve met and they’ve all been encouraging. Pamela: I see you are part of a Science Fiction game development team. That’s pretty neat. Can you tell me more about ‘The Status Quo Project’, your role, and how you got involved in it? Jason: Yeah, this has been an amazing experience. Status Quo is a game where there are seven races, seven planets, and three factions. There is combat in space and on the planets. It’s going to be one heck of a game! I was introduced to “Cheshire,” the lead project manager for “Status Quo” through Alex (I always knew him as Dolphi) a gaming buddy of mine. He knew I wrote stories and he put me in contact with Cheshire. I was given a test assignment of writing bounty hunter missions for one of the planets and it went over so well, I was given another planet to write bounty hunter missions for. I nailed that and was offered the opportunity to write ALL the missions–three factions worth and civilian missions–for an entire planet. I did almost all of those missions so when you play the game and end up on the planet Arthas, almost every mission you do there was written by me. I still can’t wrap my head around it! The team Cheshire assembled to work on this game is amazing! I cannot wait for it to come out. Pamela: April was a busy month for you. Your YA Sci-Fi novel, “The Selection” was released and you had a short story appear in Sci-Fan magazine. Was making the transition from short stories to a novel a difficult one for you? Jason: Thanks! It was a pretty good month for me! The transition from short stores to novels wasn’t too difficult. I enjoy the longer form as it allows me to explore a character in greater detail. I’ve got four NaNoWriMo “wins” under my belt which helps me plan and write a longer piece of fiction. If I need a break from the novel, I’ll write a short story or revise one I’ve written so I can keep the writing going while not burning out on any one project. Pamela: There’s an old adage that writers should ‘Write What You Know’. Can you explain how someone who’s studied Early Medieval History extensively uses that to bring life to your work as a Sci-Fi author? What sort of research is involved in all that? It must be tremendous. Jason: Yeah, historical research can be daunting for sure! I think studying history allows me to bring a sense of realism to my writing. When I studied Early Medieval Ireland, I had to research people and incidents in depth to get at the answers I wanted. I feel that’s helped me to make my stories relatable, no matter the setting. I want you the reader to feel at home even if you’re on a planet thousands of light years away with strange creatures. Pamela: What can we look forward to from you next and where can readers find out more about you and your work? Jason: I’ve got a short story coming out in August in an anthology titled “Twilight Madness.” It will be an ebook and paperback release from Schreyer Ink Publishing. I’ve started a sequel to “The Selection” and I’m looking to rework an earlier novel as well. You can find out all about me at jasonjnugent.com. While there, feel free to sign-up to my mailing list and you’ll get a free ebook copy of my first collection of dark fiction short stories (Almost) Average Anthology. Thanks, Jason! I really enjoyed learning more about you. Best of luck with The Selection and with its sequel. 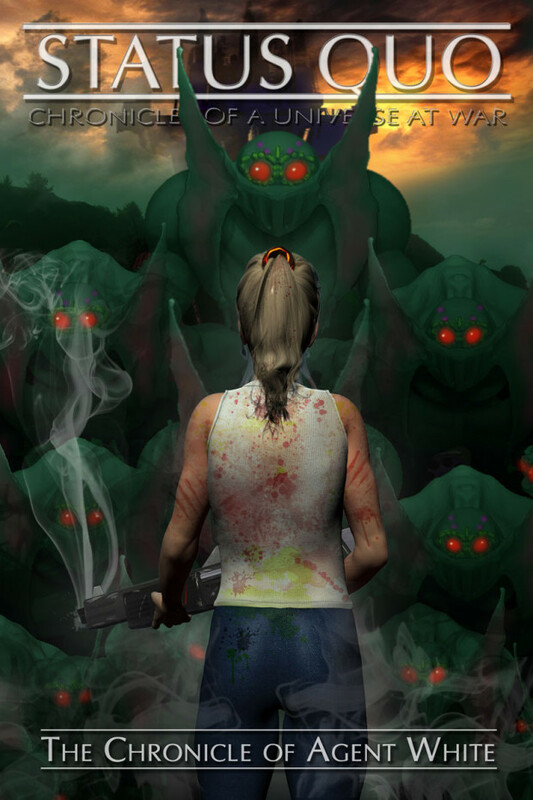 Next month we’ll learn more about … The Sisters of Slaughter! 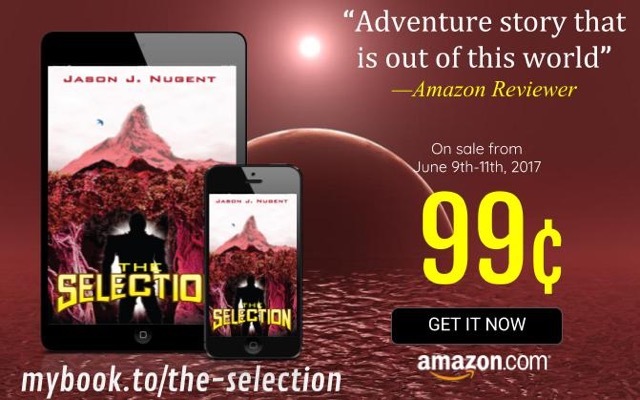 For a limited time, grab the thrilling young adult sci-fi adventure novel “The Selection” from author Jason J. Nugent for only .99! Centuries later, haunted by the screams of his dead older brother, eighteen-year-old Eron fears the unknown terror waiting for him and all boys his age in The Selection. He has thirty days to survive to Victory Point and reunite with his crush Mina. He will have to endure brutal circumstances and forge unlikely alliances if he’s to survive The Selection. Between June 9th and June 11th, you can get this action-filled story for only .99! Go to mybook.to/the-selection today before time runs out! Jason Nugent was born in Cleveland, OH in 1974. He moved to rural southern Illinois in 1992 and lives there today with his wife, son, and mini-zoo of three cats and two dogs. He writes regularly on his (Almost) Average blog. For the month of March, I bring you an interview with B.W. 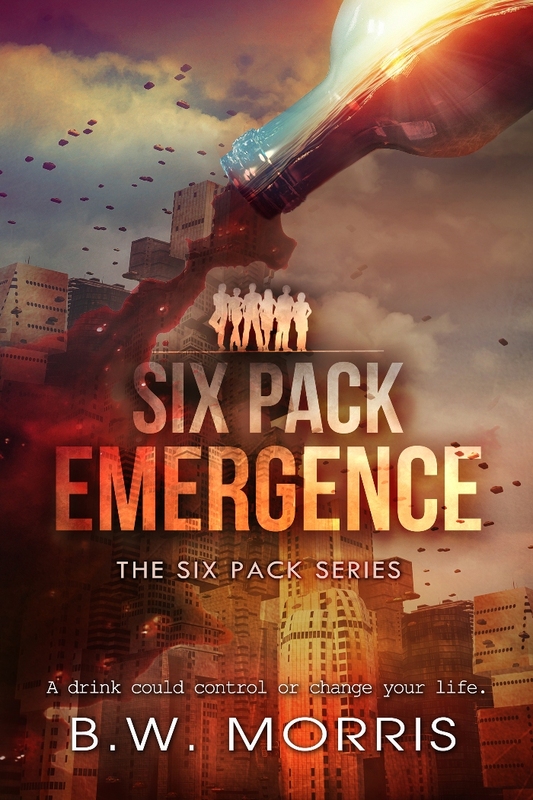 Morris, a YA Author whose first novel, Six Pack: Emergence, comes out later this months. And no, Bob and I are not related – at least as far as we know we’re not. 1. Every writer has a story on how it all began for them. When did you first begin to realize you had a knack for story telling and as there someone that influenced\encouraged you down the path of being a writer? Well, I’ve always liked writing. And I’ve always been a creative person, but I don’t think I realized it as much as I probably should have. When I was younger, my imagination tended to wander about, but as I got older, I realized the gift I had for writing, I thought more about writing for the school newspaper and that’s when journalism entered my mind. But after I entered that field, I found that I had a knack for creative writing, which I explored in my spare time. Further into my adult years, I became more true to myself of who I really was — a comic book geek. So as I watched multiple TV shows and movies in the superhero genre, I came across a series called Young Justice and really liked how the storylines were woven together and how the characters developed and interacted with each other. I had ideas brewing in the back of my mind about my own superhero team, but wasn’t sure about a setting or what challenge they would face. Then I came across The Hunger Games… saw the first film before I read any of the books, but once I read the book, I was drawn into the story. I went back to thinking about my superhero team up, thought about the dystopian environment in which The Hunger Games is set, and that’s when I realized I had a story idea. So I sat down on several occasions, writing about character ideas and plot points. A few months after I settled into a new job, I put together a first draft, sent it to a friend for feedback and got some positive remarks (and plenty of critiques about what I needed to do to get better). That’s when I finally realized I had that knack for story telling, too. From there, I explored more ideas about the writing process, editing, critique groups and other things, and it grew from there. I think I always had the knack for storytelling… I just needed to embrace my inner geek, my overactive imagination and put both to good use! 2. They say author’s often put themselves into at least one of their characters in every book. Is this something you’ve experienced? If so, which of your characters do you feel most resembles yourself? All six of my principal characters have a little bit of me in them, but the one who most resembles myself is Tyler. He’s curious, he likes to read, and while he has leadership skills, he’s reluctant to apply them. But I did take my other personality traits and put a little of each into my other characters… Jessica has my stubbornness, Brad has my skepticism, David has my shyness, Stacy has my “try to keep perspective” vibe and Linda has my impulsiveness. And, yes, when you combine those traits, it makes for an odd personality, but that’s what I’m like. 3. Authors tend to also be avid readers. What kind of books do you enjoy reading and who are some of your favorite authors? I really liked Suzanne Collins and her work with The Hunger Games series. She’s so good at pulling you into the story, making you sympathize with not only Katniss Everdeen but a few of the supporting characters, and she’s great at building tension and suspense. Stephen King was somebody I first read in college and have recently gone back to reading and he has some very good work… I hadn’t read The Stand before, but when I came across his “original cut” in a used bookstore, I bought it and found myself drawn in. Plus I was impressed with how accurately he described Boulder, Colorado, a city I grew up near (I grew up in Longmont) and visited many times. Douglas Adams was somebody else I liked… his wit really comes through in his writing. And I still remember the books by Judy Blume and S.E. Hinton when I was younger… in fact, I still have my copy of The Outsiders that I bought through a school book club. I’m sure I might have a copy of Tales of a Fourth-Grade Nothing hiding somewhere, too! 4. Once you’re done with the Six Pack Series, do you have any ideas for something different further down the line? 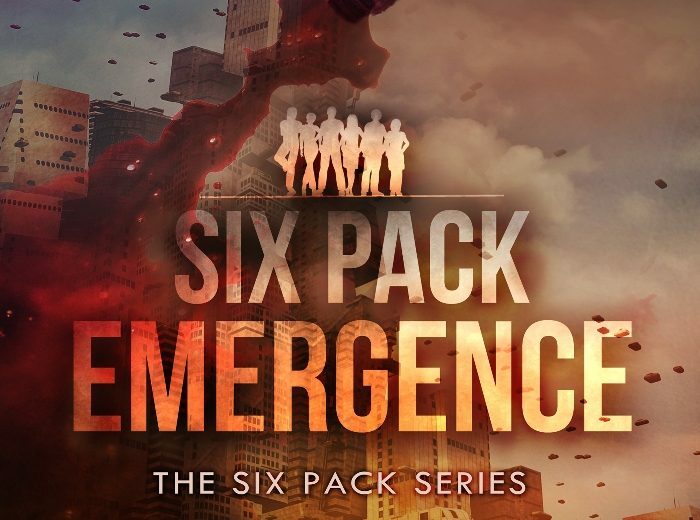 I have an idea for a spinoff book from the Six Pack Series, but I don’t know if I’ll do that immediately after it (I’ve planned a trilogy for Six Pack, though I’ve thought about follows up to it, but that’s further down the road). Because I have an idea for a mystery that keeps coming back to me. And I’ve had a couple other ideas cross my mind but they haven’t stuck with me for long. Perhaps I need to start writing these things down more often! 5. The general train of thought is that to be a writer you should be writing 1000 words a day. I personally find that impossible to accomplish. How about you? What’s an average writing day for you and is there any one place you prefer to write in. I write for a weekly newspaper and those stories can be anywhere from 500 to 1,500 words, so in a sense, I’m getting in that amount! Seriously, though, when it comes to fiction writing, my mindset is to get an entire chapter or scene finished in one sitting, which can go as little as 2,000 words to as much as 4,000 words. On the other hand, my work schedule means that sometimes I can’t sit down to write something for a planned book every day, so it tends to average 1,000 words per day on some weeks. I also try to schedule my first drafts for the spring and summer months when I have more evenings and weekends available. The fall is when I sit down and watch Denver Broncos games each Sunday and winter is when the holidays come along and I’m covering a lot of basketball games for the local paper, so I try to focus on editing previous drafts in those months. As for where I prefer to write, because I sit at a desk in my office all the time, when I’m at home I sit down in front of the coffee table on the floor in my living room to write. It’s true the TV is in the living room, but I don’t watch much TV and tend to focus more on what’s going with the characters on any shows or DVDs I watch. I find that sometimes helps with learning how to develop characters, as much as reading books will teach you. And, yes, my preferred writing spot is most unusual, but then again, I may be a most unusual person to begin with! 6. Where can readers find out more about you and where can your work be made available? I must first confess that YA Fiction is not my genre of choice, but the promise of a novel about getting a novel published intrigued me, especially when the novel getting published within the novel about the publishing world is basically a ghost story, which *IS* a genre I have a lot of experience with. I first came to know Scott’s work by way of one of his more adult science fiction novels, “Evolution’s Darling”. From there I went on to read “The Risen Empire” and “The Killing of Worlds”. Having enjoyed all three of those, while at the same time proclaiming I wasn’t really into Sci-Fi, I figured I’d give “Afterworlds” a shot and step back into my youthful days when I did read YA Fiction in the form of Nancy Drew murder mysteries. With “Afterworlds” you will be getting a two for the price of one storyline. Scott’s clear and descriptive style quickly pulled me into both worlds. We first meet Darcy Patel who has just had her first novel accepted for publication. She’s put college aside and strikes out to live in NYC, much to the dismay of her parents. With $150,000 to live on until the novel is released and the royalties start coming in, Darcy quickly finds herself noodling her way through the city with fellow YA novelist, Imogen Gray. Imogen and fellow writer friends, encourage the 18-year-old Darcy by sharing tips and research methods, both to Darcy’s amusement and horror. But Darcy is not the only one facing a strange new world. Second we have Lizzie, the lead character in Darcy’s version of “Afterworlds” whose life changes drastically after she finds herself the only surviving victim at an airport terrorist attack by playing dead. Lizzie plays dead just a little too well and enters a very unique rendering of the afterlife. Here she meets Yamaraj who offers up some ‘YA Hotness’ in the form of a Hindu Death God. Yamaraj does his best to teach Lizzie the ins and outs of what she’s become, but it quickly becomes clear he’s not telling her everything she needs to know. These withheld lessons lead Lizzie down a much darker path than she or Yamaraj would like her to take. Both stories were very enjoyable. I loved learning from Darcy and company. I could easily see myself in her shoes, struggling with doubts about herself as a writer and the novel she’s written almost too easily. The lengths she and Imogen go to in the name of research made me laugh out loud and are so, so relatable. Scott’s recreation of the world beyond death that Lizzie experiences is like nothing I’ve read about before. It’s about as new and refreshing as one can get when it comes to life beyond the grave. Have I been converted to being a big fan of YA Fiction? 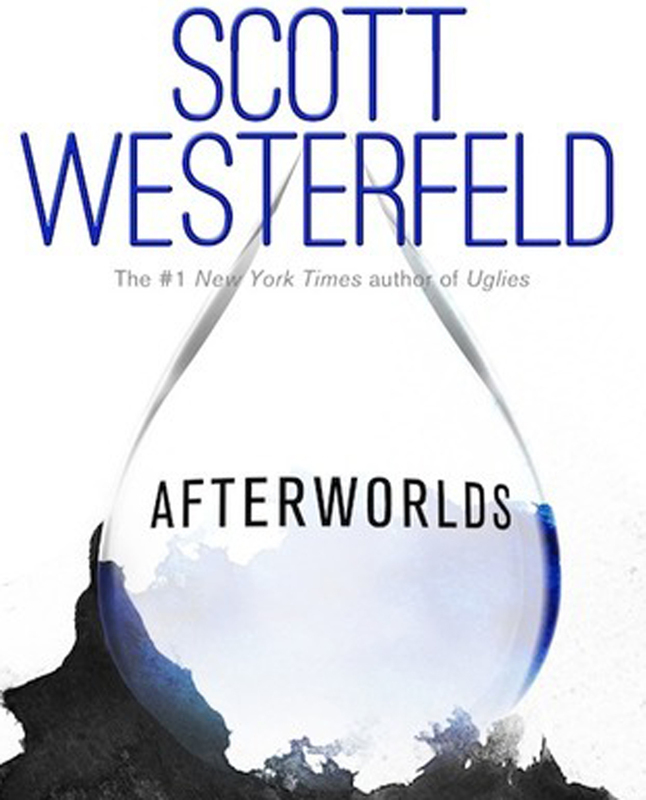 Probably not, but “Afterworlds” will certainly appeal to Westerfeld’s longtime fans and will likely bring in new ones. He’s done an amazing job. My one and only ‘complaint’ about this novel is that I think it would have been easier for me to read and enjoy had the two parts been presented separately. I would have liked knowing about the trials and tribulations of Darcy first, leading me towards the reward of finally getting to read the novel she struggled with for so long. Four out of Five Stars, because nothing is ever perfect.